In 1975, to recognize Baltimore for its history and culture, the mayor tasked four leading advertising executives and creative directors with coming up with a way to promote the city. The men discussed the city’s hidden charms, which turned into a nickname for the city: Charm City. As a result, advertisements featured white marble steps, steamed crab, Mount Vernon, journalist Henry Louis Mencken, baseball player Babe Ruth, museums, row homes and more, according to an article in The Baltimore Sun. 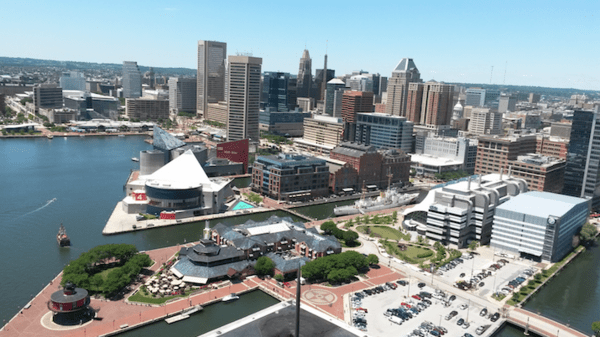 Charm City is also home to the very first American railroad, and it’s the largest city in Maryland, with about 622,000 residents. However, the weather in Baltimore isn’t always so charming. During the winter, Baltimore typically experiences around 13 days in which the temperature never rises above freezing, according to currentresults.com. Between November and March, the low is generally between 24 and 37 degrees Fahrenheit, and the high is generally between 41 and 56 degrees Fahrenheit. 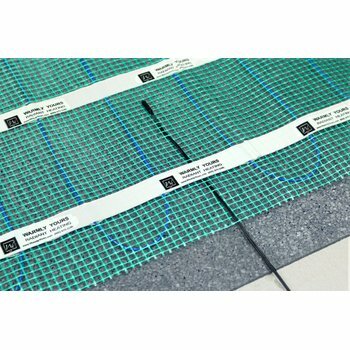 This makes electric floor heat a great solution. In this instance (see floor plan), a Baltimore homeowner chose to install new laminate floors in her kitchen, which made it the perfect time to consider in-floor heating. She purchased a WarmlyYours Environ™ Flex Roll for less than $500 to keep her kitchen comfortably warm all winter long. The 1.5- by 30-foot Flex Roll fills 45 square feet of floor space and cost $428, which equates to just $9.51 per square foot. The Flex Roll consists of a fluoropolymer-insulated heating cable sandwiched between two layers of reinforced, durable aluminum foil. The roll was cut and turned to effectively fill the floor space with 12 watts per square foot. Operating the heating element is also very affordable. 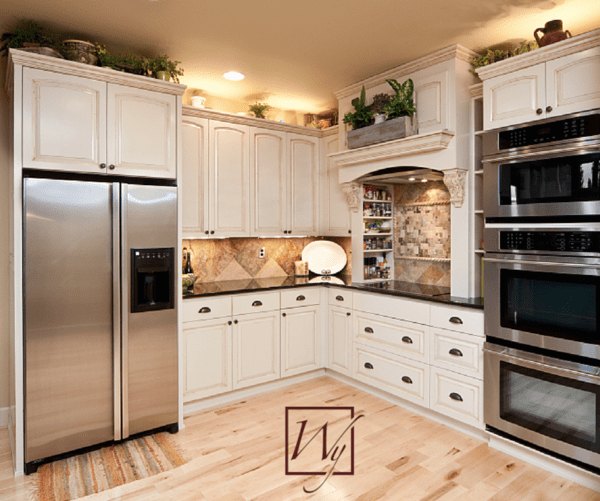 According to WarmlyYours’ Energy Use Calculator, it only costs 30 cents a day to heat this kitchen for eight hours every day. Annually, that comes out to just $35.47, according to WarmlyYours’ Heat Loss Calculator. The highest the monthly electric bill for this room would reach is $8.18 during the coldest month of the year. That’s about the same price as going out to lunch just one time! To determine how much it would cost to add in-floor heating to your kitchen, check out WarmlyYours’ Instant Quote tool. This is the best place to get started with your project. 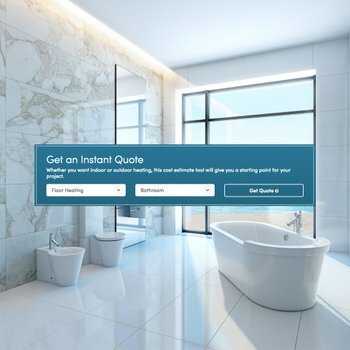 All you have to do is plug in some information about your project and the tool will show you the recommended products for your room and how much they will cost. The tool also allows you to upload a floor plan of your room to get a custom installation plan. This plan offers more detail than an Instant Quote because it shows exactly how the floor-heating system should be laid out for optimal functionality as well as the electrical plan. This information makes installation easier, and it also helps our technical support team to better direct you through the installation process. Free technical support is available 24/7 at 800-875-5285. 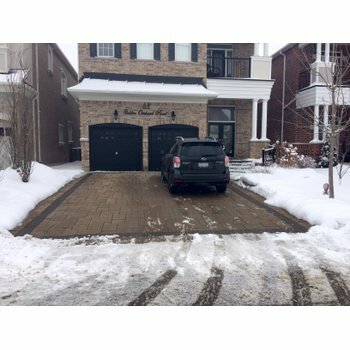 Whether you live in Baltimore or another city that could use some warming up, www.warmlyyours.com has a solution for you. Next Post What Does Floor Heating in a Hamilton, Ontario Guest Bathroom Cost?